Whatever you do, don't read this when you're pregnant. 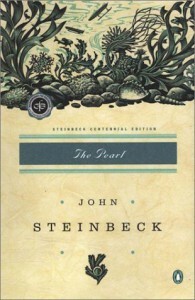 I loved Steinbeck until I read this in my 5th month of pregnancy - got to the end of this book and ranted for a week at my husband about the evils of men who DARE to write about women and their children. Haven't touched a Steinbeck since. I've always wondered what I would have thought of it and him had I read this before becoming a mom.